In late April of 2017, thousands of people flocked to the Bahamian island of Great Exuma for what they thought would be the best weekend of their lives. The first ever Fyre Festival, a music festival created to promote the music booking app Fyre, was set to begin soon. The festival, which had been advertised by social media influencers like models Kendall Jenner, Bella Hadid and more, was labeled by many as a “luxury music festival.” Ticket prices ranged between $5,000 and $250,000, according to Rolling Stone. 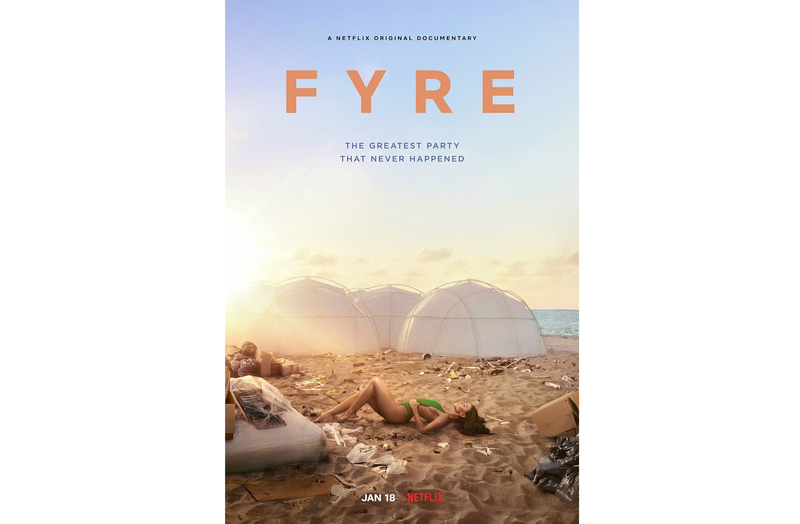 The new Netflix documentary titled “Fyre: The Greatest Party That Never Happened” takes the viewer through what happened, showing how the failure of the festival was inevitable. From the initial advertising of the event to the final moments before the catastrophe unwinds, this documentary captures it all while also being entertaining. I heard about the Fyre Festival scandal when it was all happening—it was definitely hard to ignore in the media. However, this film explains it better than any article. Not only are some of the people who were directly involved in the event interviewed, but the viewer gets to see things like video footage of the proposed site of the festival, footage of Fyre CEO Billy McFarland, and much more. As someone who is trying to go into media after graduation, I was fascinated by this film, but not necessarily in a good way. The film itself was excellent, but what I got from it was slightly disheartening. Aside from the fact that McFarland, who is now in prison, was at the base of the scandal, this film speaks a lot to the kind of society we live in today. This documentary depicts the dangers of false advertising, but at the same time it exposes how susceptible our society is to be influenced by what’s on the internet. As much as you can watch this film and feel like blaming the people behind the project, such as the marketing teams, I was equally intrigued by the consumer side of the equation. Of course, plenty more could have been done on the planning side to prevent the ultimate catastrophe from occurring; that is undeniable. However, I thought it was incredible to see how much money people were willing to spend to go to this festival based on advertising from social media influencers. The marketing campaign alone, which viewers get to see pieces of in the documentary, encouraged people to buy tickets worth thousands of dollars. I think what this film does more than anything is put the power of social media and peoples’ ability to be persuaded on display. It seems like people simply saw the campaign and assumed they were literally going to be partying with famous models. The documentary explains that only in the few weeks leading up to the “festival” did people even begin question things like their travel plans or where they would eat and sleep. As consumers, this film tells us that we need to be more aware. The film does an excellent job of portraying the details of what happened with the Fyre Festival. I also think the film does a great job of allowing the marketing and social media companies, who inevitably came under fire after the incident, to tell their sides of the stories. The film offers enough perspective about the situation that by the end, the viewer is left shocked but also unsure of who to blame. Was it McFarland’s fault for not being able to put his money where his mouth was? Are the marketing companies and social media influencers to blame for advertising an event they logistically knew nothing about? Or is the average consumer too quick to be convinced? I would highly recommend watching the documentary to learn more about what happened, but also to understand the kinds of consequences associated with putting too much trust in the modern influencer.